I found this rather funny. After dinner I found her in the neighbours yard. 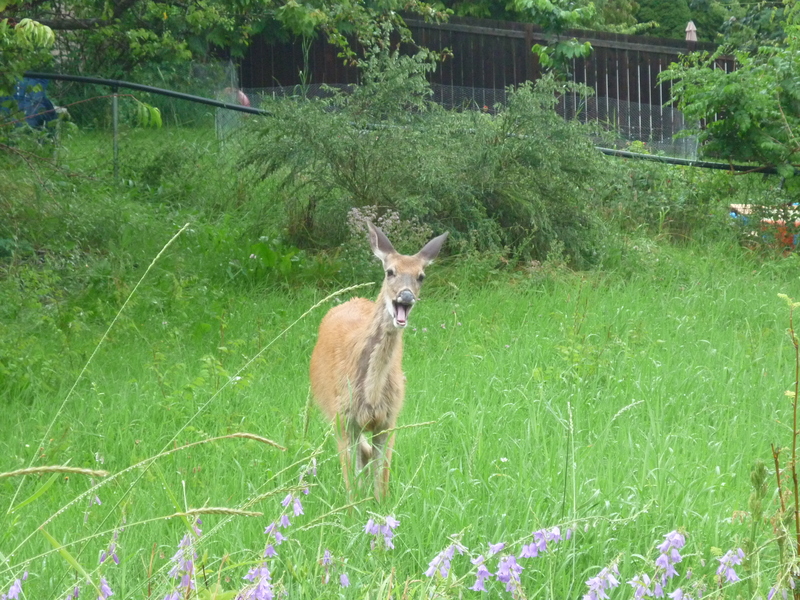 The yard next door is very jungle like – my cat loves it too! She made the funniest noise. I guess she didn’t like having her picture taken. I have the winter blahs. Every February it hits me hard and gets worse in March. I hate the constant weather changes. One day it dumps 6 inches of the white stuff. Then it melts. Then it freezes. Yikes! The ugly grey, brown dirty, streets, sidewalks and yards. Temperatures up and down like a toilet seat. I long for spring. It is coming. I heard birds chirping this morning. 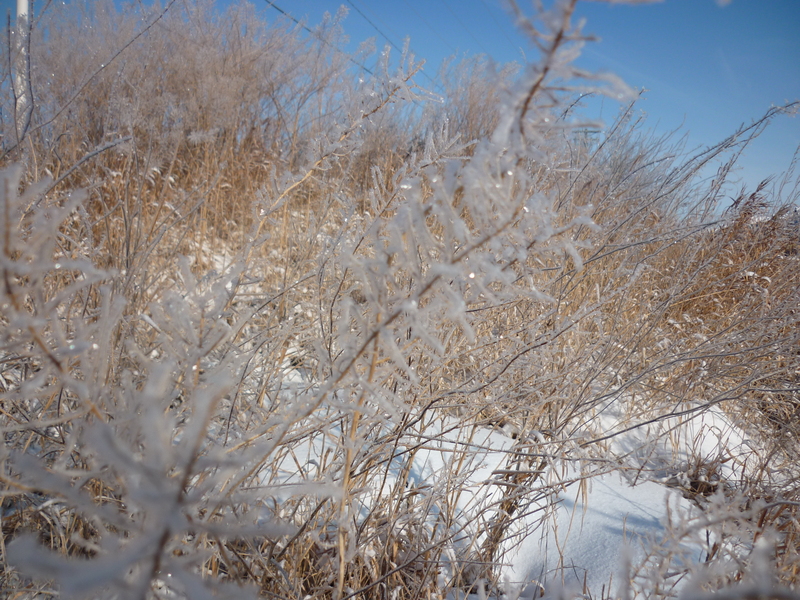 I did manage to enjoy a sunny very cold day -20°C no less……but it was pretty. Photo taken while visiting Calgary Alberta. I took a really long time to finish this. I started it in July and put it away for a while. Picked it up again in October and put it away again. I just didn’t enjoy knitting it, but didn’t want to rip it as this yarn had been knitted and ripped about three times. The yarn is considered sock yarn. 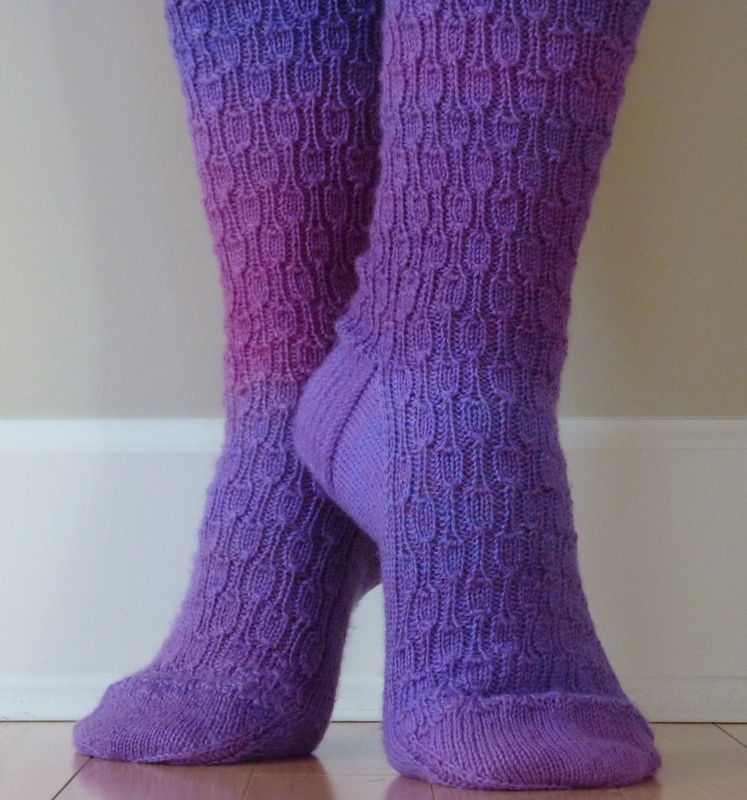 I tried three different patterns and felt the yarn was too thin and weak for socks. So I persevered and I’m glad I did. This January I looked at it with different eyes. The knitting process flowed effortlessly and this is the end result! Fabulous! Here is my first project of 2012! I’m PROUD of these puppies because I’m famous for starting mittens and then losing interest after only one mitt! I’m also never very happy with the fit. I think now that I have knit so many um lets say swatches I understand how to adjust patterns to fit my hand. I also have discovered what style I prefer. 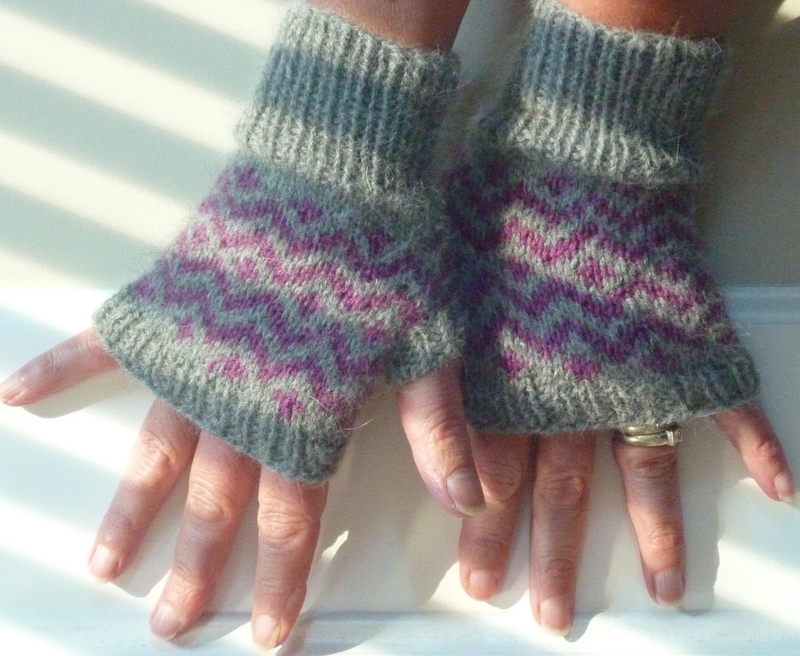 Even though these are fingerless (not a true mitten) I’m happy with the results. I wear them a lot! Here’s a sneak peak at what I’m currently working on. Actually I’m obsessed with this project. I love everything about it. 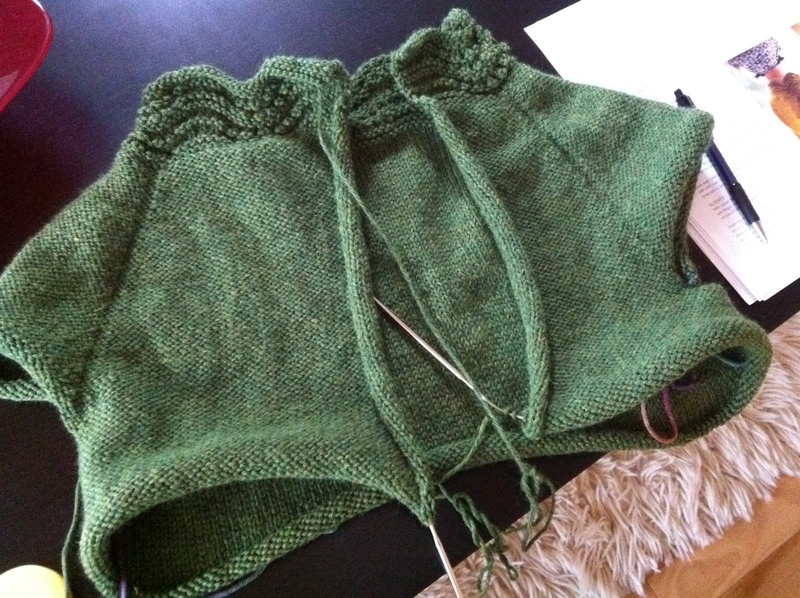 The pattern is called ‘Levenwick’ by Gudrun Johnston. 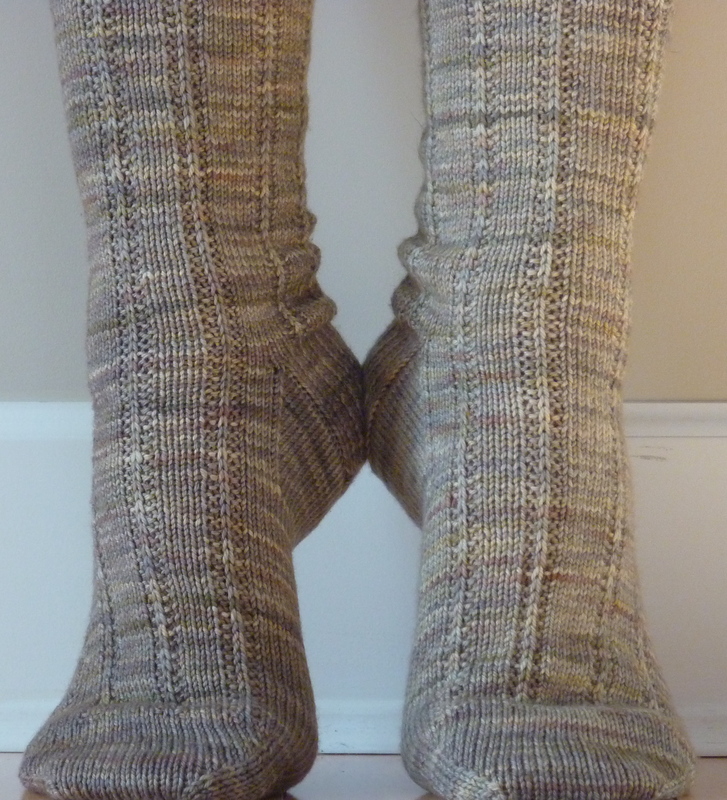 It was about one year ago that I knit my first sock-even though I always said that sock knitting was dumb. Going round and round on tiny needles, thin yarn, too slow of a process. I have changed a lot since last February. I’m addicted to sock making. I love everything about them. 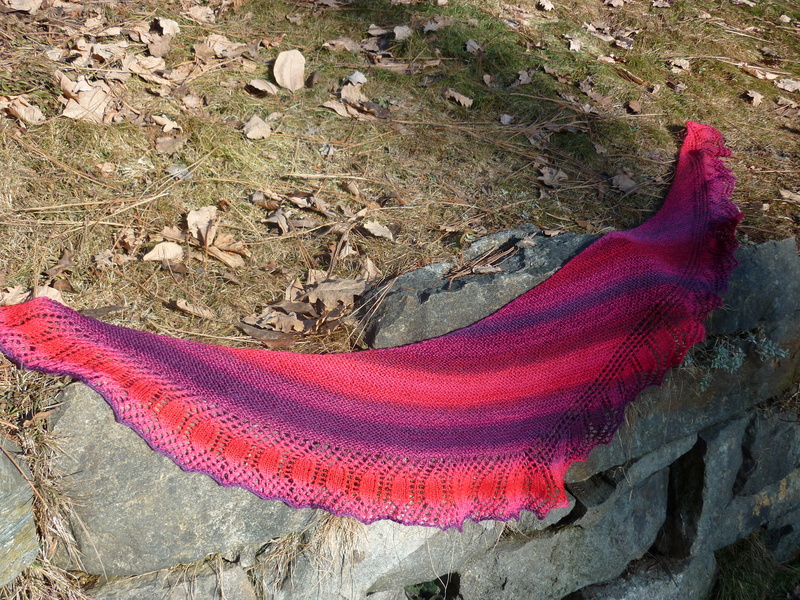 The project is portable, offers gorgeous yarn to knit from, easy to complicated patterns to choose, and many different methods of construction. Nothing dull about them. The best part — everyone loves a homemade sock, once you’ve worn one you won’t go back to store bought I guarantee. This sock also was made in Thailand! These little beauties came with me on my Thailand vacation. I had the first sock done so I finished the second sock on Kata Beach. Believe me I was the only one knitting on that beach! Hi! My name is Karen. I have known and loved knitting since I was a young girl. I started when I went to Brownies!. I have knit on and off throughout the years but only since August of 2009 knitting became a constant in my life....A day without knitting is like a day without food! I'm a firm believer in exercise and healthy eating. My motto is to exercise before knitting!